Tools for CD/DVD drive and media info and checking. 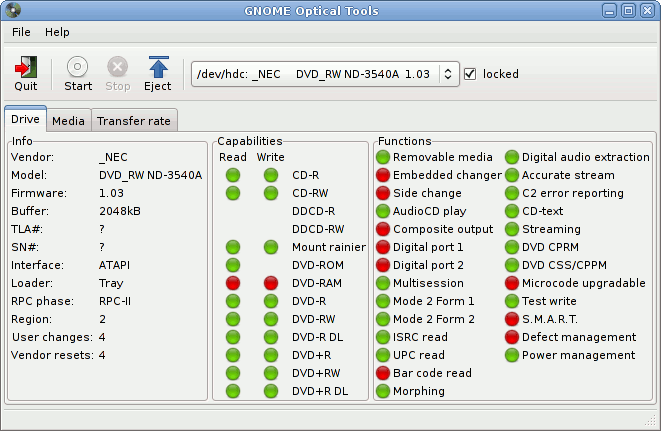 GNOME Optical Tools is software for info and checking of optical drives a media. 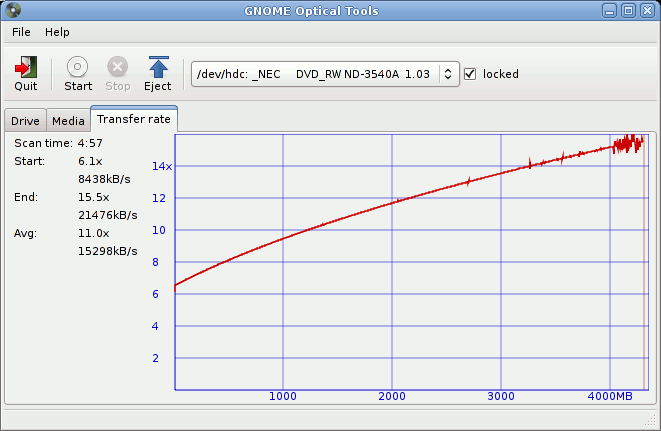 Currently it supports CD and DVD only, but in future it may support Blu-ray tool. ... and perform transfer rate check. The working part is based on rewritten algorithms of Qpxtool, which does the same (and more), but under QT3. Powered by phpBB-nuke. All rights reserved. Page Generation: 0.690 Seconds, 20 SQL queries.